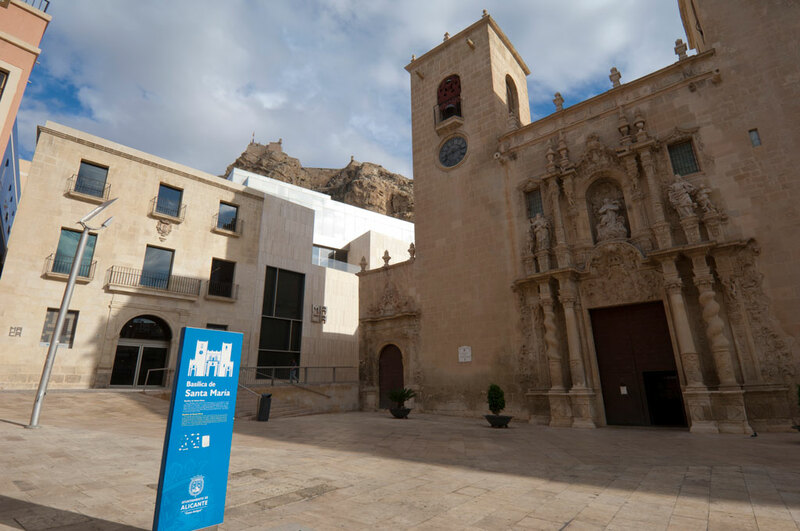 The Santa Maria Basilica is the oldest church in the city, dating back to the 14th century. 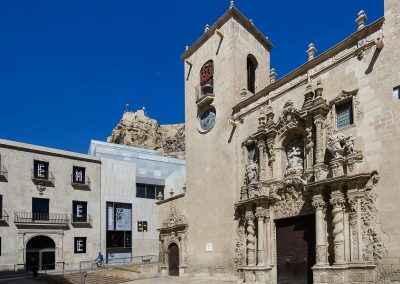 It was built upon the ruins of Alicante’s biggest mosque and has a single, non-cruciform nave with side chapels between the buttresses. The basilica had to be rebuilt following a fire in the 15th century. 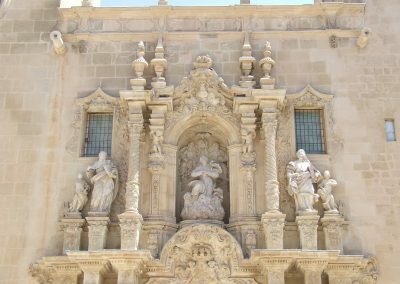 Its baroque facade is crowned by two assymetrical towers – one built in the 14th century and the other in the 18th century. 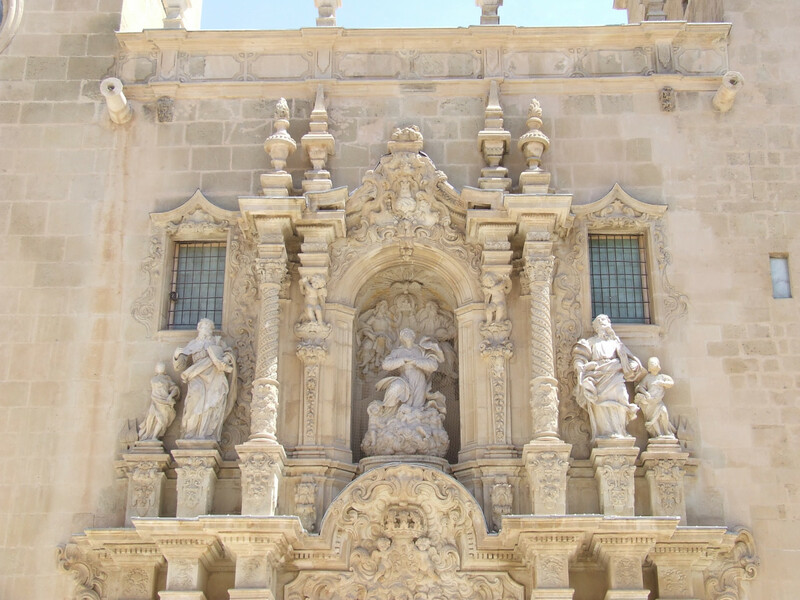 Highlights include the doorway with its image of the Virgin Mary by sculptor Juan Bautista Borja. 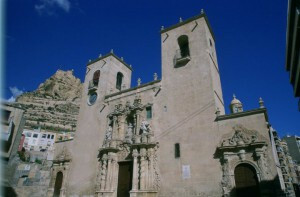 Inside it boasts an 18th century rococo main altar and the Bautismo, Inmaculada and Comunión chapels. 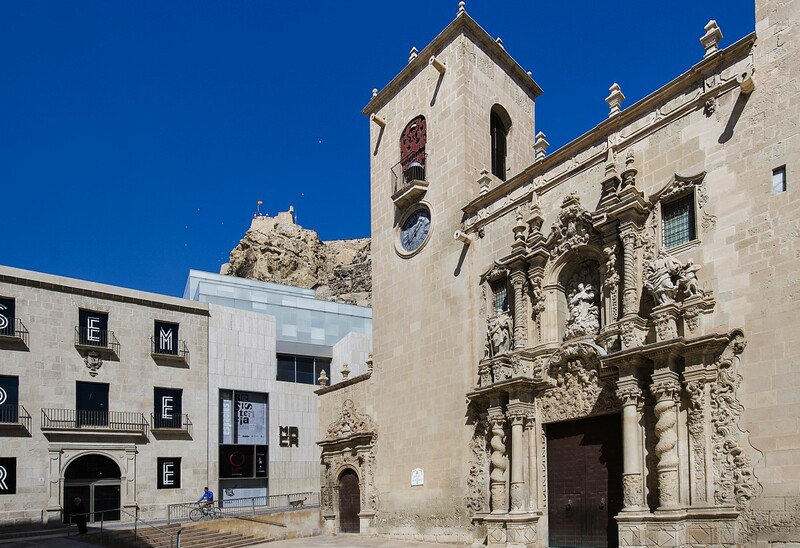 The chapterhouse contains an enormous baptismal font from the 16th century and a Valencian baroque organ from 1653.